ALABAMA: Former Cop Dead After Shooting State DA - Joe.My.God. 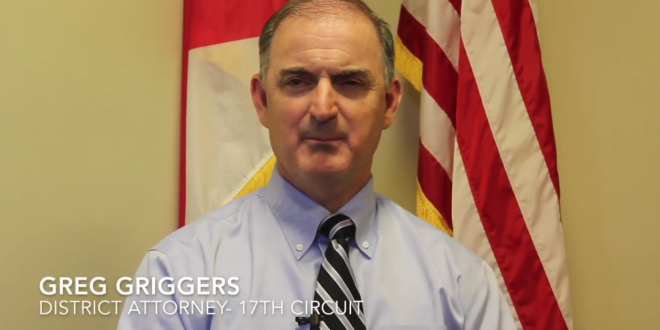 A former state trooper shot Greg Griggers, the district attorney for Alabama’s 17th Judicial Circuit, in the face Thursday afternoon, according to Michael Jackson, district attorney for Alabama’s 4th Judicial Circuit. After he shot Griggers, the former trooper – whose name has not been released – was shot to death, reportedly by a law enforcement officer. “Griggers got shot in the face and they killed the ex-state trooper who shot him,” Jackson told AL.com Thursday afternoon. Griggers, who serves as district attorney of Greene, Marengo and Sumter counties, was transported to a hospital and is expected to survive, according to Jackson. UPDATE: More from the Birmingham Herald. The shooter has been identified as Steven Smith, Jr., a former state trooper who was previously questioned in connection with a 1996 incident in which someone used a shotgun to shoot up the home of Sumter County Circuit Judge Eddie Hardaway, the first black judge to preside over Sumter, Marengo and Greene counties. “It is the same trooper [from] all those years ago. My agents with the [4th Judicial Circuit] drug task force have been down there for a few hours and they say it’s definitely him,” Jackson said. “I asked them if they were 100 percent sure it’s him and they said they are. Smith, who was fired from his position as a state trooper after he spoke to reporters about the case, reportedly owned a white Mitsubishi that matched witnesses’ descriptions of the car driven by the shooter. Smith also testified before the special grand jury in the case.